Navodaya Vidyalaya Admission 2018 for the students of NIOS (National Institute of Open Schooling) will be based on the JNVST Selection Test 2018. 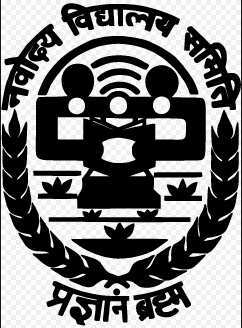 Jawahar Navodaya Vidyalaya is accepting an online application from the eligible candidates of NIOS for admission in class 6. Jawahar Navodaya Vidyalayas are co-educational residential schools which are fully financed and administered by Government of India through an autonomous organization, Navodaya Vidyalaya Samiti. Navodaya Vidyalaya Admission 2018 for NIOS Students and other recognized students who are passed out in class 3, 4 and 5 should obtain `B’ certificate (given below in application section) and residence should be in the same district where he/she is seeking admission. The main objective of the government is to provide quality education including a strong component of culture, awareness of the environment, inculcation of values, adventure activities and physical education to the deserving students. The last date to apply online is 25 November 2018. The National Institute of Open Schooling candidates must go through the eligibility criteria given below. The NIOS candidates must be belonging from the concerned district where the Jawahar Navodaya Vidyalaya has been opened. However, the district where JNV was opened but later bifurcated, the students from the old district are also eligible for admission if the newly JNV is not started yet in his/her district. The candidates who are applying for Navodaya Vidyalaya Admission 2018 must be studying in class 5 in the current academic session 2017-18 from a Government/Government aided or other recognized schools. The candidates who are doing “B” certificate competency course from the National Institute of Open Schooling (NIOS) are also eligible to apply. The candidates who are passing “B” certificate competency course of National Institute of Open Schooling (NIOS) on or before 30 September 2017 are eligible to apply. The form of NIOS candidates must be verified by DEO/DIOS. The candidates wish to apply for Navodaya Vidyalaya Admission 2018 under rural quota must have passed in class 3, 4 & 5 from a Govt. / Govt. aided / recognized school. The candidates seeking admission in Jawahar Navodaya Vidyalaya must have been born between 1 May 2005 and 30 April 2009. Non-eligibility: The candidates who have already appeared in the previous year’s selection test are not eligible to apply under any circumstances. First, the candidates have to visit the official website directly or by clicking the link given here. Now the candidates have to fill the online application form by providing the details asked in there such as personal information, education qualification details, contact number and address. Thereafter, the candidates have to upload the required images after clicking the button given there. Signature of candidates and the guardian of the candidate should be uploaded. Now the candidates have to fill the self-declaration certificate which has to be produced for uploading along with the application form. The candidates want to apply for Navodaya Vidyalaya Admission 2018 has to submit an application form only through online mode. The duly filled application form along with self-declaration certificate and certificate certified by his/her headmaster should be submitted to the office of Common Service Centre latest by 25 November 2017. The candidates who have successfully submitted the Navodaya Vidyalaya Admission 2018 application form will be able to download the Navodaya Vidyalaya Admission Admit Card from the office of common service centre as per the schedule has given above. The common service centre will charge Rs 10 per candidates for downloading the admit card. Examination centre of the candidates will be mentioned on the admit card. The candidates applying for Navodaya Vidyalaya Admission 2018 will have to pay Rs 35 which will be charged by the Common Service Centre e towards service charge to upload the application form. The candidates who qualify for the admission will have to pay no fee during studying there because the Jawahar Navodaya Vidyalaya schools are fully financed by the Government of India. The candidates would be selected for Navodaya Vidyalaya Admission 2018 on the basis of performance of the candidates in Jawahar Navodaya Vidyalaya Test which is scheduled to be held on 10 February, 8 April and 9 June respectively. The result of JNV Selection Test 2018 expected to be announced in the 1st week of April May 2018 for summer bound, the last week of May 2018 for winter-bound and in the 1st week of July 2018 for extreme winter bound. The marks secured by the candidates will not be published or communicated through any medium. After the declaration of result, there is no provision to re-check the result. The candidates and their parents have to note that the selected NIOS students will be admitted only in JNV located in the district from where they are appearing at the Navodaya Vidyalaya Admission Test 2018. The candidates appearing can prepare for the admission test by following the sample paper released by the conducting body on its website. To check sample paper, the candidates have to check the official brochure by clicking the link given below.